Hello. 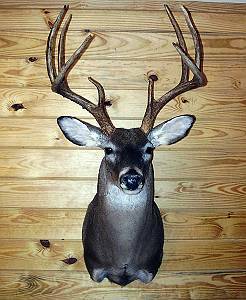 My name is Jennifer Webster and I am a professional taxidermist in Helotes, Texas. I specialize in whitetails, hogs and exotics. However, you can also have your gamebirds and trophy fish mounted at J and J Taxidermy. I attended the University of Alaska and then Central Texas School of Taxidermy. I continue to attend world class seminars, taught by award winning master taxidermists in Texas and throughout the country to gain as much knowledge as I can and keep up with the latest and best techniques of taxidermy. 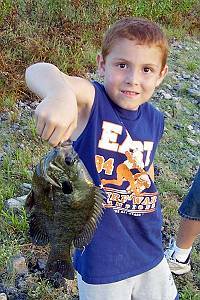 I began my business with the hopes that my son, Jaxon, can learn the art of taxidermy and I can eventually turn the business over to him. He has shown quite an interest in taxidermy at the young age of 6. My goal is to provide a realistic mount at a competative price in a timely manner. No mount will leave my shop that wont make you proud. I am just north of San Antonio, Texas. I am within 15 miles of Boerne, 30 miles from Bandera and 55 miles from Kerrville but I am not limited to your local taxidermy needs. I can come to your ranch and pick up your mounts if it is more convienient. I make frequent trips to Rocksprings, Uvalde, D'Hanis, Sisterdale, etc. I do not see "drop in" clients as it disrupts working on other trophies. However, you can make an appointment any day of the week at your convienence. Just call or email us anytime. I can also ship your mount anywhere in the USA. Check out my Shipping page for more details. Thanks and have a safe hunting season.